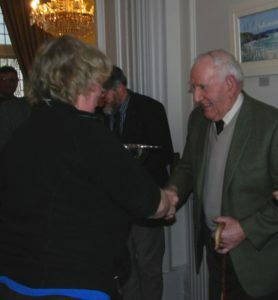 Shepherd Sandy McKirdy from the Isle of Bute is the recipient of the 2019 Stalwart Award, presented annually by NFU Scotland Argyll and the Islands region. The inaugural recipient of the award two years ago, Sybil MacPherson, described this year’s winner as ‘one of nature’s true gentleman’ as she presented the quaich at the regional AGM. At the age of 94, Mr McKirdy is still active looking after sheep and training dogs for sheepdog trials. Sybil said: ‘He is someone of outstanding strength and vigour of body, mind and spirit; loyal, reliable and hard-working. Sandy started farming with his father at Dunagoil Farm on Bute, worked as a shepherd in Argyll before spending almost 40 years shepherding for Bute Estates and the Marquis of Bute. He retired at 65, but Sandy keeps a daily routine checking on ewes and hoggs while training sheepdogs for the local trial. The Stalwart Award was created in 2016 in memory of Mull’s Bert Leitch and Lachlan MacLean. Both men, who represented NFU Scotland regionally and nationally for many years, sadly passed away in 2015. 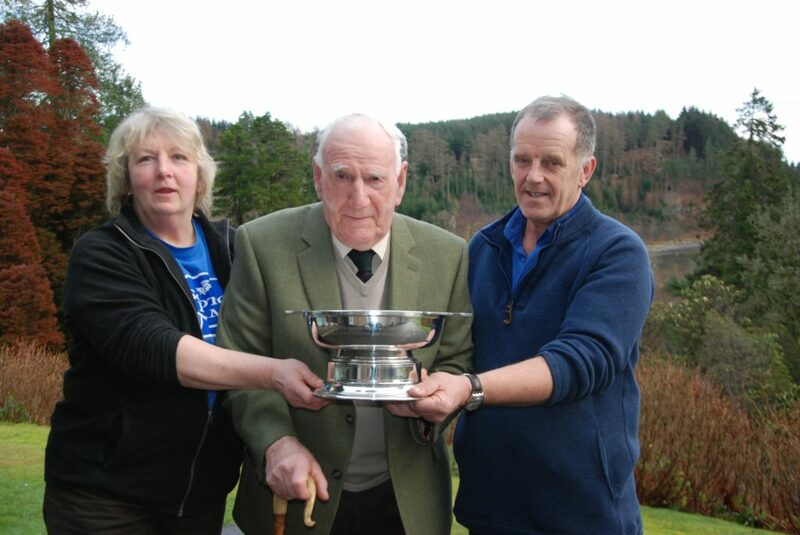 The award is presented annually to either a NFUS member who has given time and effort to the union’s work in Argyll and the Islands, or someone who has made a significant contribution to agriculture in the area. Regional chairman John Dickson said: ‘The true measure of someone considered a stalwart is the respect and admiration they get from young and old. The fact that Sandy’s advice continues to be sought after and valued underlines the esteem in which he is held by his fellow farmers.